As part of my new business resolution of Pay it Forward, here is the first free download. Love the new paisley inspired wedding trend? Enjoy these postcards with a paisley theme. These 7 postcards are in the newest colors. 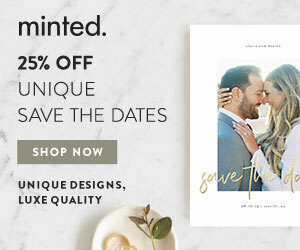 All of these postcards can be used for Save the Dates. Of course, they can also be used for invites, parties, thank-you and much more. Paisley is fresh and new again and appearing everywhere. This bright and graphic pattern adds pizzazz to your wedding elements. These cards have been designed with classic colors as well as newer shades. Printing Info: These cards can be used and printed through any software you prefer. For affordable and easy printing, let me tell you about a great resource - Express Copy. They will print a 2-sided color postcard and mail it to your address list for $.61 (or less). Other sizes and options are available. They have great pricing and very quick turnaround. Their customer service has been great the few times I've needed it. Simply upload your own design or use one of their large selection of pre-designed postcards. If you don't want them to mail your postcards, they can also just print them and mail them back to you. Either way, this is a big time saver for busy brides.